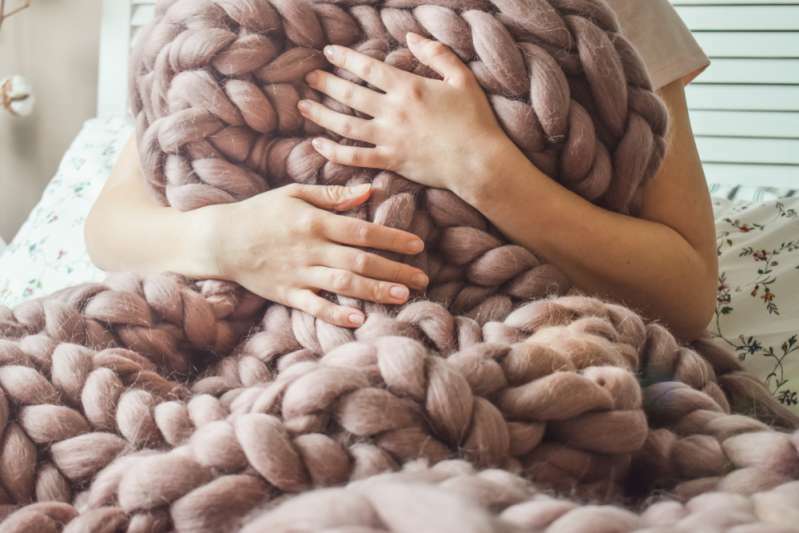 You don't have to be a knitting expert to create this lovely blanket. You only need to dedicate a few hours, after which you will have yourself a very lovely piece. Yes, it's possible to purchase any one of this large knit blankets anywhere, but what's cooler is making one yourself. You can bring together your favorite colors, plus, you may realize you found a new hobby. Nocturnal Knits blogger Laura Birek created an easy-to-follow step-by-step guide for using PVC tubes to make this 50-inch by 84-inch blanket. If you're not a newbie knitter, you may get this chunky home accessory done in only four hours. Why make a big blanket like this? Well, for one thing, it will look super adorable draped at the foot of your bed or on a couch. You may even lay it on the floor for the kiddos to play in. And how about giving your loved one a special handmade gift like this for the holidays? We bet they will appreciate it. Before you get started, you should gather a few things you'll need for this project. The items include many rolls of unspun wool roving, two long PVC tubes, and duct tape. To begin, start by making your knitting needles by using the duct tape to make 'buds' at the end of each PVC tube. This gives you something that will grip the wool as you knit. Next, you will be using the same technique you normally do regular knitting. Except, this time around, you have massive instruments guaranteed to give your arm a workout. About 24 loops can make a decent blanket size. 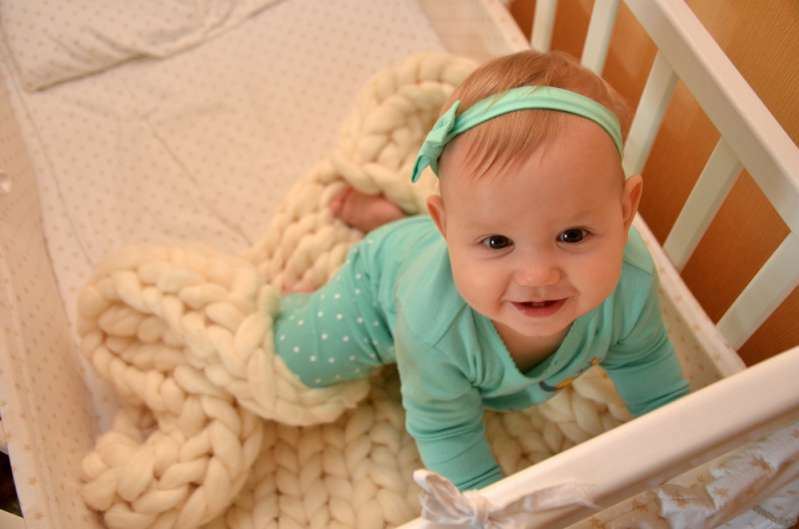 To make sure your blanket will stand the test of time, consider sealing the edges by weaving the end of the chord in and out of the loops then seal it by tying a loose knot at the end. For a visual representation of how to make these blankets, watch the DIY video below. You'll see how easy it is to make one on your own. Even if you're not a knitting pro, this guide should help you as well. Just be patient with each step. You'll surely love the end result.